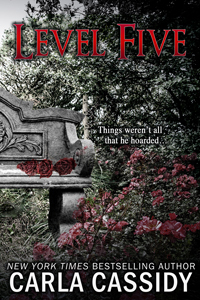 Level Five | Carla Cassidy Books - Don't Turn Out The Lights! Carla, I just wanted to let you know I have read “Heiress Recon” and it was an ACTUAL page turner for me, I just couldn’t seem to put the book down. I really enjoyed it, and am so glad Barbara Herrin passed the book along. I will definitely be reading some more of your books!